Even though it might actually sound like a horrific situation, it’s one that a lot of homeowners have found themselves in. A mouse, a rat or any other rodent that is found dead within the ducting can spread germs with the air that is spreading throughout the entire home is absolutely foul. Though the process is undoubtedly not the most pleasant one you could go through, you could completely get it cleaned out from the area and get that unpleasant smell removed entirely. However, before you go ahead and take the very first step, you need to know that this is the kind of task that could be sourced to a HVAC technician, if you don’t feel like you cannot do it on your own. You should most definitely explain the current requirement when you put in a call for their service. There are service providers who might actually refer you to an animal control service. Most of the HVAC technicians, though, handle these kinds of work. Usually, the first thing that you would have to do is to track the smell. This is also likely to be your first cue: the horrific smell of an animal which has begun to decompose. Oftentimes, the odor could be particularly strong and you could actually think that within the ductwork while, in reality, it’s in the attic, crawlspace or in the basement. In any case, you need to make sure to get the body located. It might be the smell that leads you to a very specific vent in your home. Keep in mind that the more you approach the source of the smell, the more you would start to experience its strength. This is something worth accounting for. Once you’ve had the specific rodent located, it’s time that you remove it very carefully. You will need to get a large garbage bag, paper towels, disinfectant spray and others of the kind. If the dead rat is actually out of your reach, the professionals should use some sort of a tool to get to it. This could easily be a vacuum cleaner’s long hose attachment or something like regular coat hanger – whatever gets the job done. Make sure that you are very careful, though. Once you are done, you should make sure that you spray with the disinfectant every single place the carcass has touched and you should be done with it. However, it would be appropriate if you made sure that you follow-up with an inspection to determine the way which the rodent used to actually get inside. This is also something quite important and you ought to consider it. 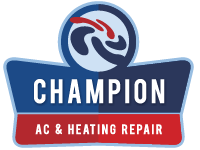 The HVAC professionals will be happy to assist you and will do a complete check to determine the crack or leak in the ducting. This will ensure that there is no chance of this happening again. Is It The Time To Replace Your Furnace? Why Is Your Air Conditioner Producing Water?